This is the summary of consumer reviews for Maytag Bravos X High-Efficiency Electric Dryer (Model: MEDX500XW). The BoolPool rating for this product is Excellent, with 4.50 stars, and the price range is $550-$650. 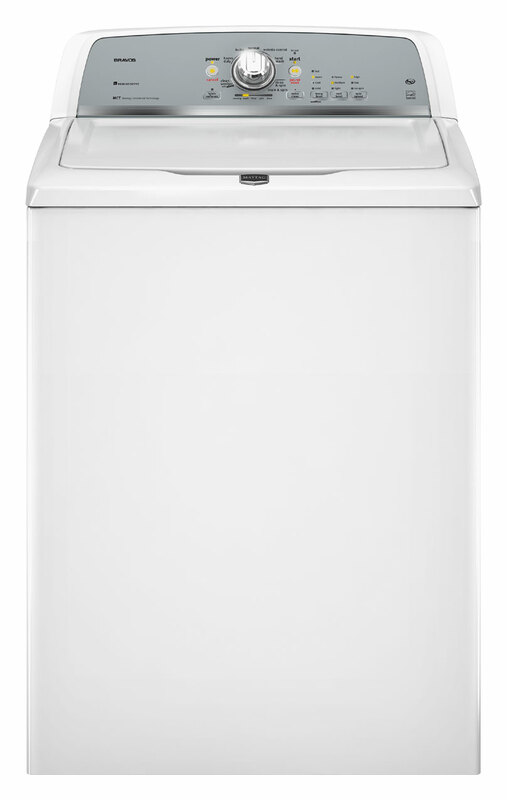 Maytag Bravos X MEDX500XW combines performance and efficiency to present a 7.4 cu. ft. High-Efficiency Electric Dryer. It comes with a IntelliDry sensor that utilizes advanced technology to automatically detect when clothes are dry, reducing the chances of shrinking and excess energy use. A 90-minute Wrinkle Prevent mechanism keeps the clothes wrinkle free when you cannot take out laundry right after drying. 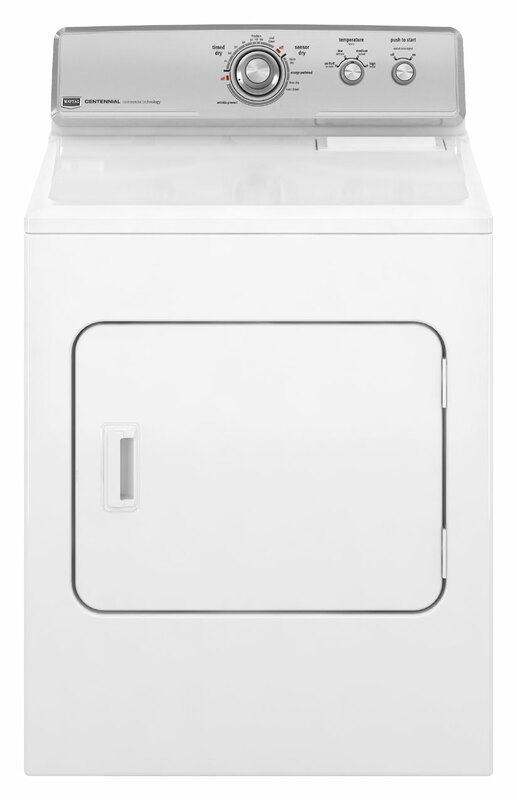 Users praise this dryer because it dries clothing quickly and efficiently for more consistent results. 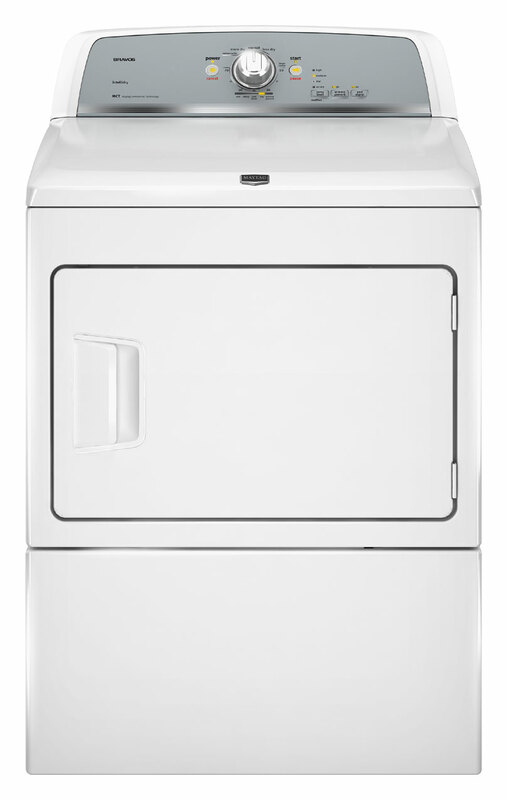 This Maytag dryer boasts of many convenient options like 10 drying cycles, including sensor and timed drying cycles that provide drying options to handle a variety of fabrics. It is easy to use and 7.4 cu. ft. capacity drum accommodates large loads. 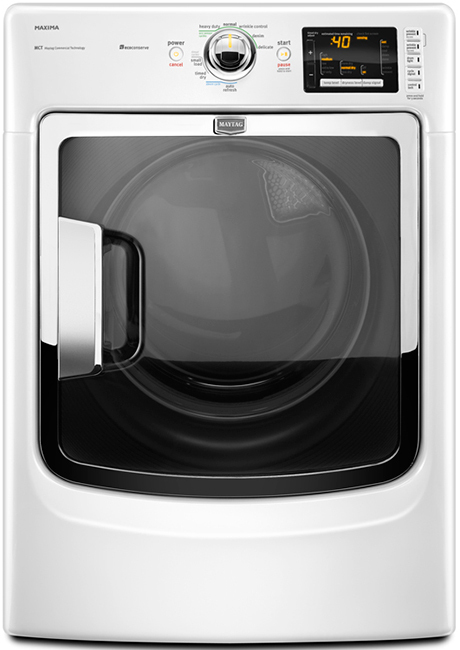 The dryer is energy efficient and stylish looking to give nice looks to that laundry room. The machine has a steel cabinet and reinforced base frame making it reasonably quiet. It comes with many convenience features like interior lights, End-of-Cycle signal, front lint filter, front service access and Auto Wake-Up control. A few users complain that door clip keeps breaking and also it snags items. The dryer does not fit closer to the wall and takes extra space. One user noted that they have to power off and power on for 2nd load else it shuts down after few minutes. 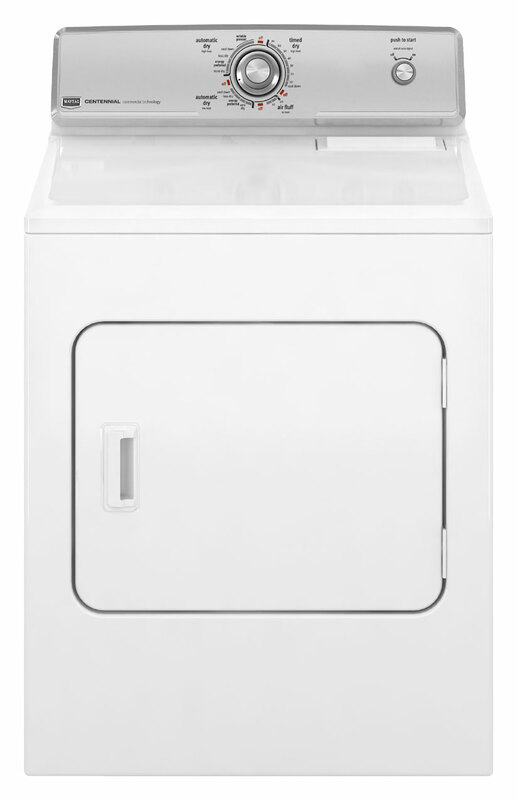 Overall, Maytag MEDX500XW is designed to dry even the largest loads while saving energy and time. Users like this combination of performance and efficiency and they give good ratings to this machine. I enjoy the features, large capacity space, drying performance, and sound features when the drying cycle is done. This product has great features, such as low sound levels and large capacity. Love all the features it provides. Wonderful features and simple to use. The features are very user friendly. Very pleased with available features, easy to use. The features are very convenient and easy to use. Great product, you'll love all the new features, delivery was on time and very professional. 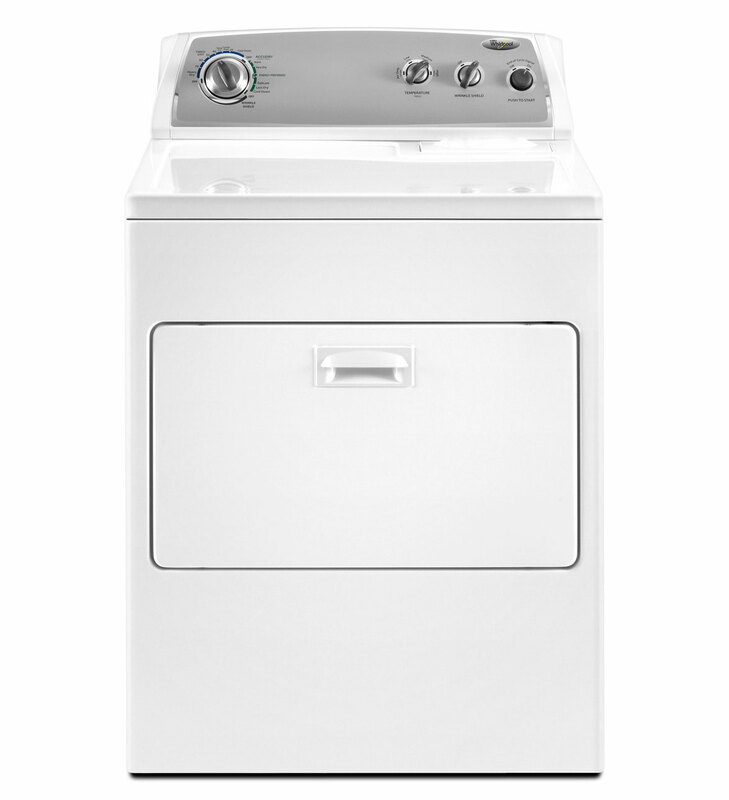 We like this dryer for the features and the price. I like the wrinkle preventing feature as I often forget/don't hear it shut off. No issues found, works fine. Overall, drying time is good, and works well with our washer. Quiet operation, works very well. It dries clothes well, and the sensors on the dryer work reasonably well. Also the sensor doesnt always work, numerous times my clothes are still damp, after it shuts off. A simple and straight forward dryer which is cost effective and works fast. still satisfied with it as it works fine. It works quickly, reasonably quietly, lint collection works well, and the temperature control has done what we need. It drys my clothes quickly and it's energy effecient. Our clothes come out perfectly dry, and its intelligent drying sensor works quiet well. Gets clothes dry in a very timely manner. Drying is so simplly with this machine you don't have to worry about about your clothes turning yellow or wrinkles staying in your clothes or if your clothes are dry or not. Drys fast extremely quiet operation. This dryer is very efficient, drying clothes much more quickly than my previous model. Drying time has been cut by a third using the matching washer, which has the clothes almost dry before they're put in the dryer. The matching washer is also great - no problems. And it's heavy duty so I don't expect any problems. IN OUR LAUNDRY, IT STICKS OUT 4-6 INCHES MORE THAN OUR MATCHING WASHER THAT WE BOUGHT. I did a lot of comparison shopping before I bought my new washer and dryer...everything pointed to Maytag Bravos. I love the machine it handles my king sizes sheets and bedspread. THE ONLY PROBLEM WITH THIS DRYER IS IT DOESN'T FIT CLOSER TO THE WALL. The only problem I've had was the little plastic piece that holds the door got out of place and the dryer door wouldn't close. I bought my dryer 3 months ago and couldn't ask for any better. He adjusted it (and I'll know how to do it in the future), checked the dryer thoroughly and was finished. Quiet and quick,this dryer is awsome.It dries two loads in the time it takes the washer to wash one load and stops when they're perfectly dry,saving energy. 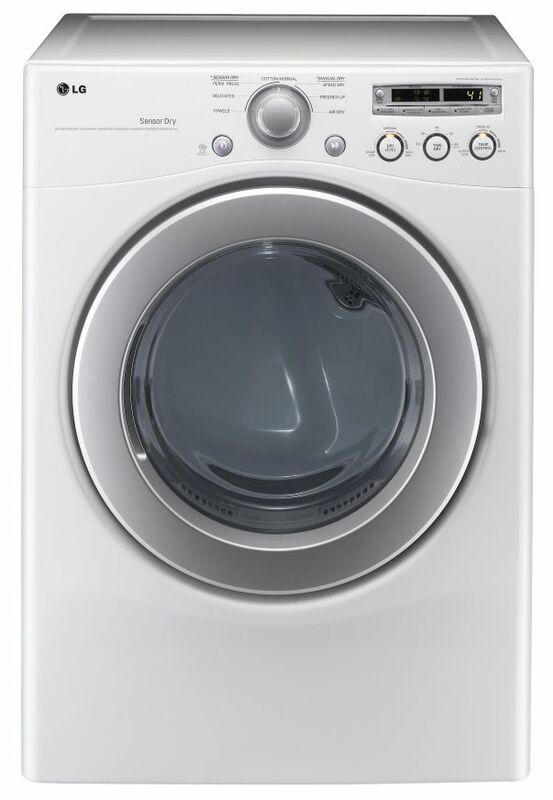 It's much quieter than its partner washer, and dries everything really well. It evenly dried a bulky comforter. 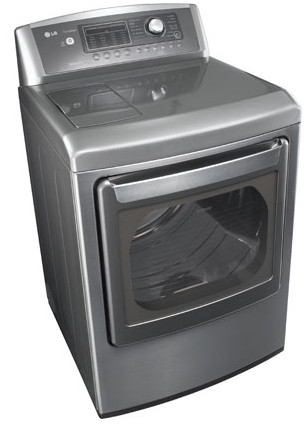 I love this dryer, it dries my clothes really fast, takes less time, and is much more cost efficient than my old one. I've three kids so a lot of laundry is washed and dried. Dries differently than old one that I'd for 37 yrs. We bought this dryer to replace our old one that finally dried its last load. This dryer finishes a few minutes before my washer so I'm able to fold my clothes and put in the new load. dries very quick and effiient, the only thing i don't like is that when you finish the 1st load in order to go to next i've to power off then power on again to get it to continue or it shuts off after just a few minutes. Most of the time you see people complaining about something rather than praising.I've had the dryer for almost a month now and it does what it suppose to do, dries my clothes.". Well known brand has added energy savings to its hiatory of product reliability and dependable performnce. Maytag is a good product and plan on purchasing a Maytag dishwasher in the future due to there quality and durability of a product. This product is very quiet and efficient. Thank you for such great products. I'll never buy another maytag product. The product has a lot of style and appearance and is very efficient. The programmed sensors in the product help take some of the guesswork out of drying modern fabrics. As all matag products They do a great job and last a real long time. 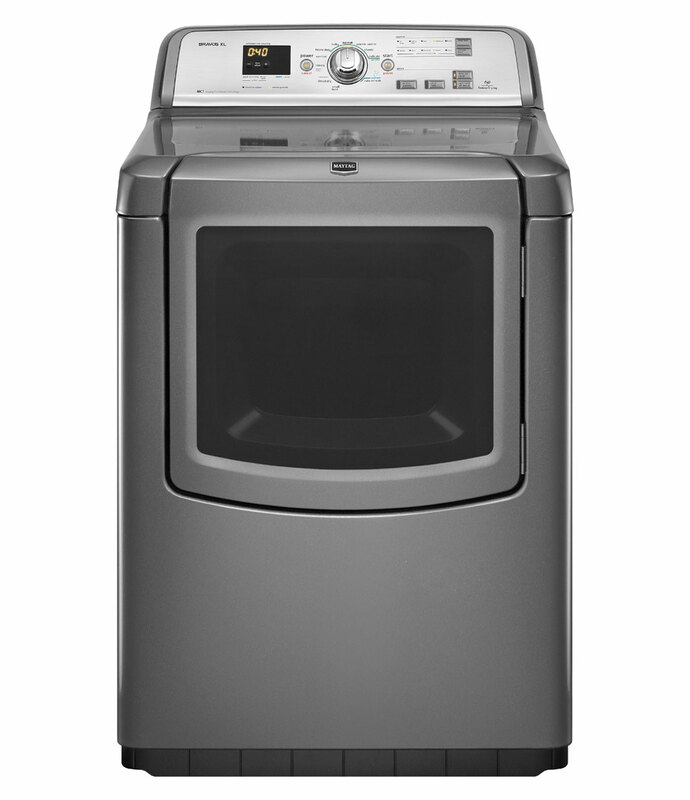 This's our first Maytag product and it met all our expectations. I've been purchasing Maytag products for many years.